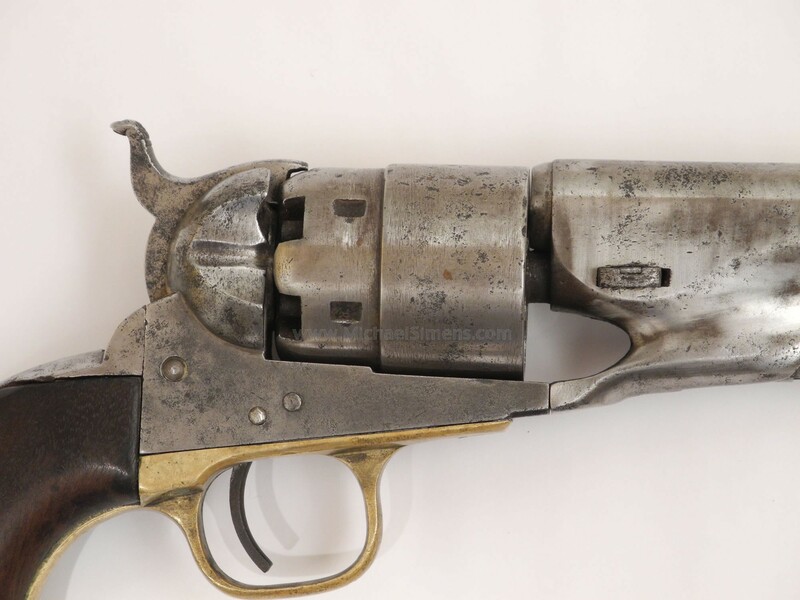 I'll make this description short and sweet on this Colt 1860 Army revolver. 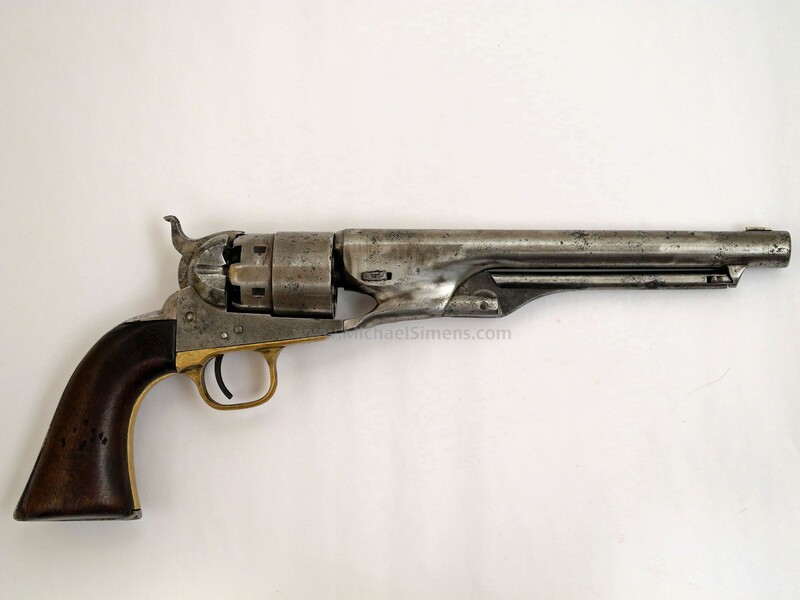 The action on this gun works great, it is all matching numbers and the markings are faint due too somebody whizzing it with sandpaper. 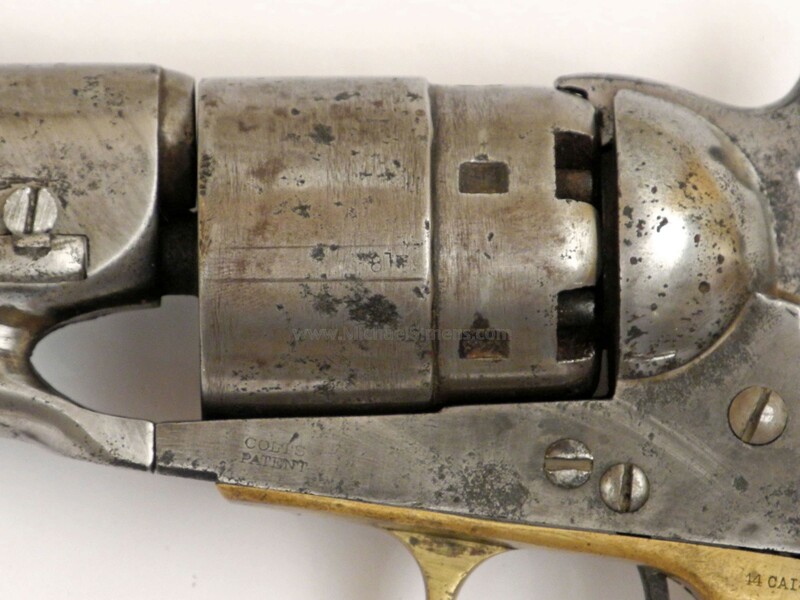 It is still a real gun and should be salvaged by removing these marks. 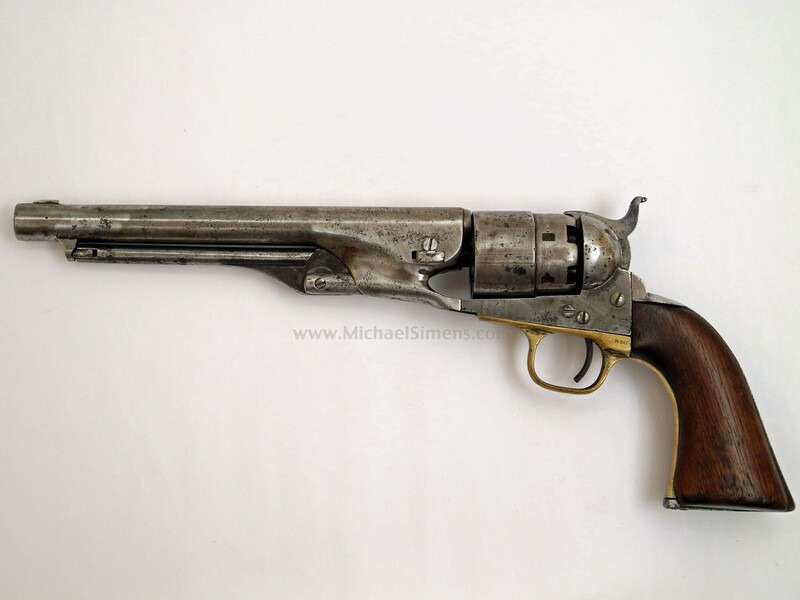 A good project gun for someone with skill and patience.